This may be new terminology to beginners, but maybe it is something that you already know. As the name suggests, sous vide cooking is a French term that means vacuum cooking. In this cooking process, you make use of precise cooking temperature to cook food. Once the food is vacuum sealed in a bag, it is then cooked under precise temperatures in a water bath. There have been traditional ways of doing this, but the sous vide cookers have changed the story completely these days. The advantage of applying this particular technique is that you achieve high valued results that are impractical with other cooking methods. These devices allow you to select the temperature according to the food you’re cooking. They offer several advantages including consistency, great taste, and waste minimization. 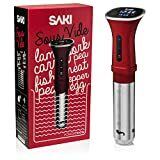 So, let’s see the best sous vide cookers best review. 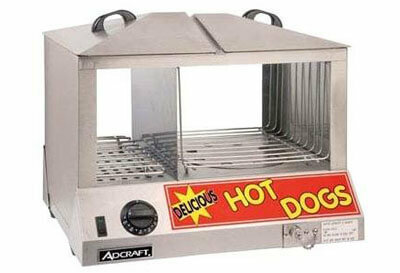 As the products name suggests, you will be able to cook like a real chef once you invest in this device. 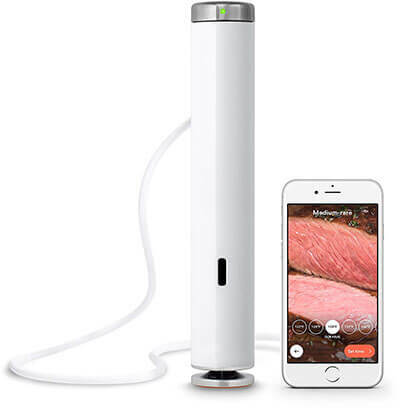 The ChefSteps sous vide features an elegant white body. It is small, sleek and lightweight. Also, the design is streamlined and has a stainless steel base and caps. Featuring 1100 watts of power, the device delivers hyper fast water hearing. It also features Bluetooth and Wi-Fi which allows you to control the device remotely. However, it is only compatible with devices running on iOS 8.0 or later and Android 4.4 or later. Also, it works with 120 volts outlets only, and use of any other standard can be abused. 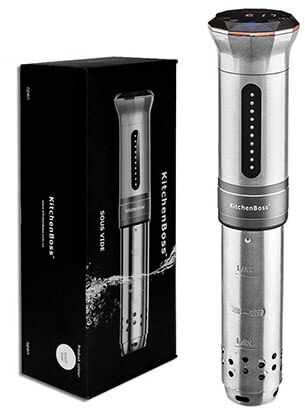 So, this can be the best sous vide if you’re looking for elegance, functionality, and durability. Are you looking for the easiest ways to prepare delicious foods? 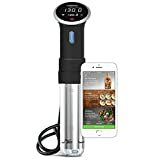 The Kitchen Gizmo is sturdy and incredibly built sous vide cooker. It features a strong grip clip that makes the device compatible with various pots. It cooks smoothly and quietly with only a margin or error of about 1 degree Fahrenheit. It is ETL approved since it meets all safety requirements and is made of BPA free materials. It also features a removable sleeve to allow easy cleaning. It has a smooth rolling selection wheel which enables you to choose time and temperature correctly. It’s one of the affordable sous vide cookers with great versatility. 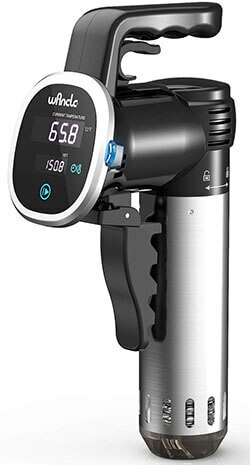 The Chefman is one of the most popular brands of sous vide immersion circulator. 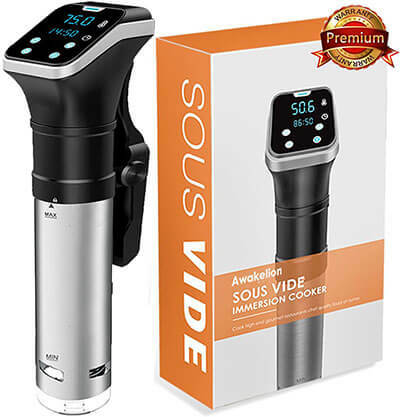 It is regarded by many as the best sous vide cooker because it allows easy preparation of restaurant-quality delicacies. It features high-quality PTC heating element. It is durable, fast performing and safe to use. Through its unique heating technology, the device is able to maintain water at a constant temperature. Further, the Bluetooth and WIFI feature allows you to control and monitor your cooking from a remote place. 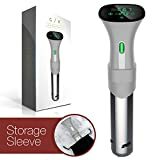 Featuring a 360 degrees directional pump, ad smart sensors, the device becomes quite versatile and pretty easy to use. The product also includes a recipe app to guide you as you make sumptuous meals. 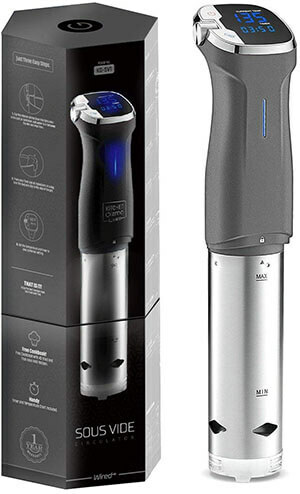 You haven’t exhausted the list of the best sous vide cooker if you haven’t come across the Wancle SVC001. This is one of the most popular models in the series. It features an unbelievable design. It is simple and extremely easy to use. In fact, it allows you to try out the restaurants’ common recipes from at home. It boasts an amazing circulating system which works silently. In fact, you can even cook in your office and still manage to continue with your business. Moreover, you only need to choose the temperature and time. With the large LCD, it is quite easy to control your cooking. For precision and accuracy assurance, the device boasts plus or minus0.01 degrees Celsius. The 50 wattage means that the device can heat water more quickly. 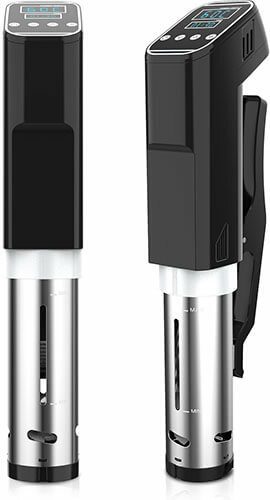 One of the recently unveiled technologies, the Anova Culinary sous vie precision cooker I here to change everything. 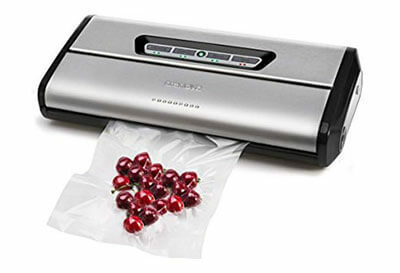 If you have been used to the traditional vacuum sealed cooking, it is time to embrace the recent innovation. Well, the device features lab grade materials and construction. It works quitter and smoothly. With this impressive device, you can cook restaurant meals from the comfort of your home. Unlike other cookers, this one produces no rare center or dry edges. Besides, it is waterproof and doesn’t allow any juices or vapor to escape. 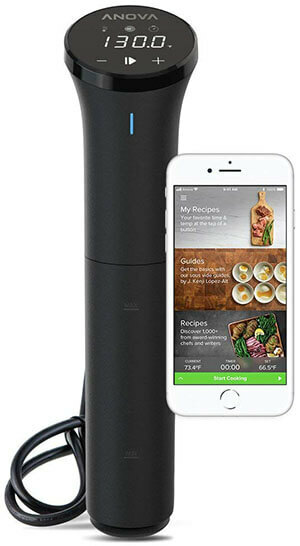 With the help of Anova app, you can control the cooking remotely and noting goes wrong. It works with any pot and is very easy to connect. That is why it is highly rated as one of the best sous vide cooker. Even though this device seems to be quite expensive, you will be able to enjoy more advantages. 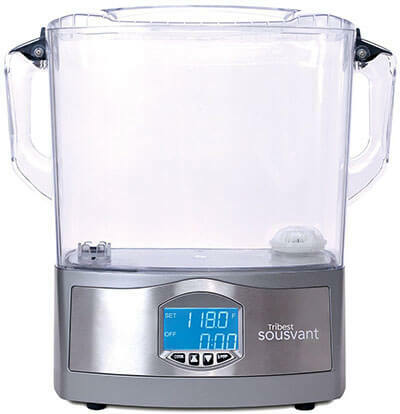 The Tribest Sousvant SV-101 sous vide circulator features a more complex design than other affordable models. However, for this device, you won’t need a pot because the design includes everything you will need. The all in one design means that you won’t need additional containers, immersion circulators or complex DIY installations. Also, the digital display is foolproof. It is user-friendly and delivers great precision every time you use it. Featuring 1000 watts heating element, it delivers hyper fast heating to save your time and ensuring food is adequately cooked. With its transparent and removable carafe, you can monitor the cooking progress without opening the unit. It’s easy to fill up, and dispose-off used water. 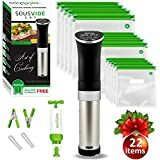 If you are looking for fast cooking and safe operations, Tribest Sousvant is the best sous vide cooker. You can take long before you find the best sous vide cooker. But, the Kitchenboss is carefully designed to guarantee you the best. It offers unmatched durability and guarantees safer operations. 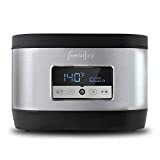 It heats up the food evenly since it features a unique pump that maintains the liquids temperatures at the desired level. It is easy to operate since you are only required to attach the device to the pot, put water and dip your vacuum sealed food. 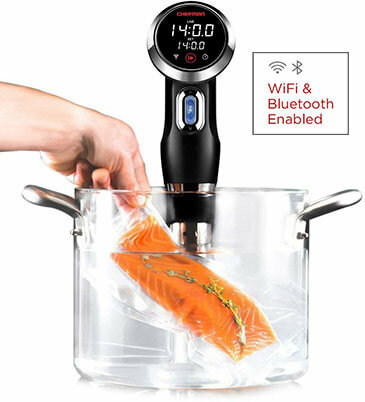 The interface is simple and allows you to control the temperature and time of cooking. It is IPX7 rated and is completely waterproof. 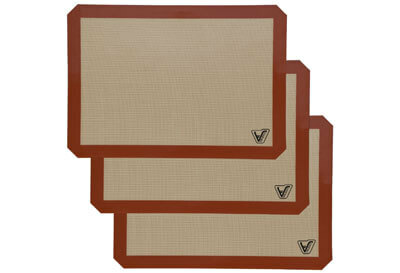 Also, an 1100 watts power rating delivers fast heating process. Thus, it is great for all foods including beef and vegetables. By providing pro-level cooking, the Awakelion premium sous vide cooker allows you to cook food naturally. It doesn’t allow the loss of nutrients because it has an integrated timer. With 800 watts power usage, the device is powerful and delivers excellent water heating capability. With its large LCD, it is easy to control the time and temperature. With high-quality PTC heating element, the device lasts for a long time. Well, the device is also BPA free and has passed the CE and ETL certificate. Besides, switching from Fahrenheit to Celsius is easy because the device provides for that. With an absolute accuracy of +or- 0.1 degrees Celsius, you can be sure that your food will be cooked exactly the way you want. If you’re looking for the best beef cooker, this is the device for you. The Kunfuking sous vide cooker allow you to cook delicious food with the necessary nutrients preserved. 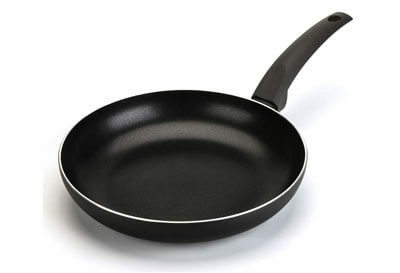 It is also a great cooker for vegetables and fishes without alerting their flavors. In addition, this device doesn’t allow the content to lose volume since no water is lost. The cooker allows you to select the precise temperature and set the cooking time depending on the recipes. It is safe and durable, and it is approved by ROHS, CE, and GS. The auto on/off button is a great feature of this device because it allows efficient energy use.